1. An Instant Pot ready to be your personal chef. It can whip up a wide variety of foods like slow cooked meals, rice, steamed vegetables, and more. Just dump everything in the pot, press a button or two, and walk away. Combines six kitchen appliances in one — pressure cooker, slow cooker, rice cooker, sauté, steamer, and warmer. It can prepare food up to 70% faster. It can keep food warm automatically for up to 10 hours, and there are three temperatures for sauté and slow-cook. The inner cooking pot, lid, and steam-rack are dishwasher-safe! Check out our review of the incredible Instant Pot! Get it from Amazon for $59.95+ (available in three sizes). 2. A TubShroom to catch your hair in the shower and prevent your drain from getting clogged up. The only thing required on your end is to take this baby out, wipe it, and put it back into the drain, so it can continue making your life easier. Check out our review of the kinda gross, but truly lifesaving TubShroom! Get it from Amazon for $11.04+ (available in six colors). 3. A windshield that'll shield your front windows from getting all snow-covered and frosty — because who the heck wants to stand out in the frigid cold and scrape ice off, while waiting on the de-froster to heat up. Not me, not you, not anyone. This is water-, dust-, sun-, and frost-proof, and fire-retardant! Just keep this covered on your vehicle while it's parked in the driveway or a parking lot, peel it off before getting in the car, and no snow/ice scraping needed! Get it from Amazon for $12.99+ (available in three colors). 4. A lap desk table for those whose loyalty extends so far as to not wanting to leave their bed or their couch to eat a meal, or do work. Big mood, TBH. Get it from Amazon for $35.99 (originally $43.50). 5. And while we're on the subject, there's zero reason why you shouldn't buy a bathtub caddy to enjoy binge-watching Netflix, drinking some coffee, eating a snack, all while having yourself a nice hot bubble bath. Get it from Amazon for $49.09. 6. A rapid egg cooker that'll make your favorites, whether that's poached, boiled... or maybe scrambled eggs! Or how about an omelet?! You can pick whichever one you're feeling, but you don't have to stand over the stove waiting and waiting and waiting on your brekkie to cook. You're welcome. It also features an auto-shutoff function! It can boil up to six eggs at a time, poach up to two eggs at a time, or make an omelet! There's a poaching tray, omelet tray, a six-egg holder tray, a measuring cup, a recipe book, and access to a recipe database. All non-electric parts are dishwasher-safe! To learn more about this EGGcellent product, check out our write-up of the Dash Rapid Egg Cooker! Get it from Amazon for $18.56+ (available in five colors). 7. An iRobot Roomba so you can ditch vacuuming your own floors, and sit back on the couch while you watch your new best friend get busy. 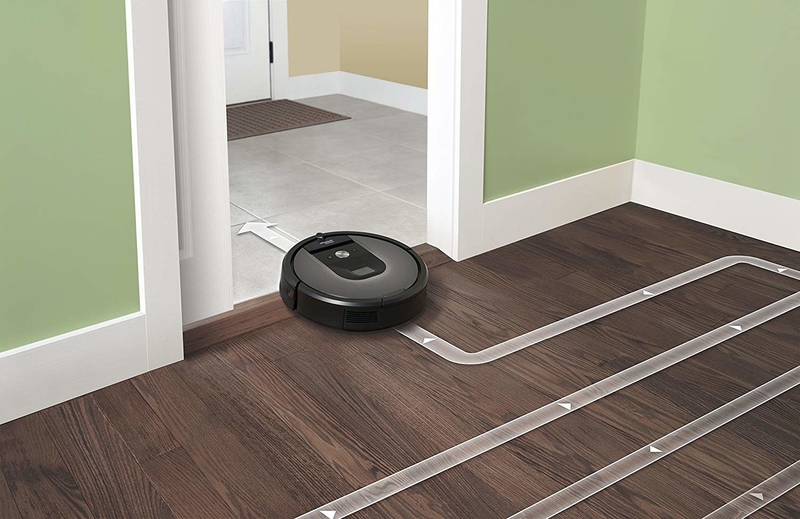 Vacuum uses iAdapt 2.0 Navigation and vSLAM technology so the robot can map its surroundings around your home. It has a three-stage cleaning system that loosens, lifts, and suctions dirt, dust, and pet hair. It can clean under beds, sofas, and a variety of hard-to-reach areas. Its high-efficiency filter can catch about 99% of allergens, pollen, and dust. This vacuum can connect to Wi-Fi, and works well on both carpets and hard floors. 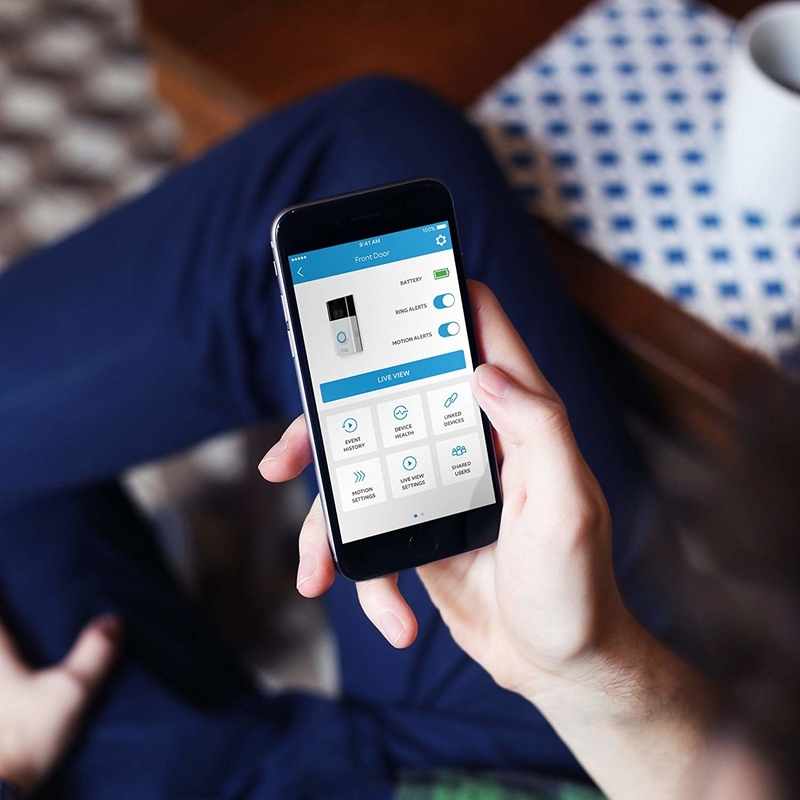 Download the iRobot Home app here. Get it from Amazon for $549 (originally $699). 8. A color-changing LED night-light with an auto-turn on/shut-off function, so you never have to remember to turn off your nightlight when you're rushing to get out of the house in the morning, and you never have to remember to turn it on before hitting the hay at night. It features eight different colors, and three color modes — color-changing, soft white, or choose your favorite of the eight colors. It also has light-sensing technology so it'll turn on at dusk and turn off at dawn. Get it from Amazon for $7.39 (originally $9.99). 9. A six-pack of dishwasher cleaning tablets so the machine you rely on to clean the things you use to eat, isn't gunking them up even more. These tablets remove odor-causing residue and help get rid of lime and mineral build-up that naturally occurs inside dishwashers. The tablet is designed to last throughout the entire wash cycle, and is recommended for use about once a month. These are safe to use in stainless steel tub and plastic tub dishwashers. Get them from Amazon for $5.40. 10. And on that same note, you may also wanna get a six-pack of washing machine cleaning tablets, because my guess is when you're doing laundry, you want your dirty clothes not coming out dirtier and smelling funky. Fair assumption? These are safe to use with front-load washing machines and top-load washing machines, and both high efficiency and conventional machines. Recommended to use once a month! To learn more about these little miracle tablets, check out our write-up of Affresh Washing Machine Tablets. Get them from Amazon for $12.97 (originally $13.98). 11. 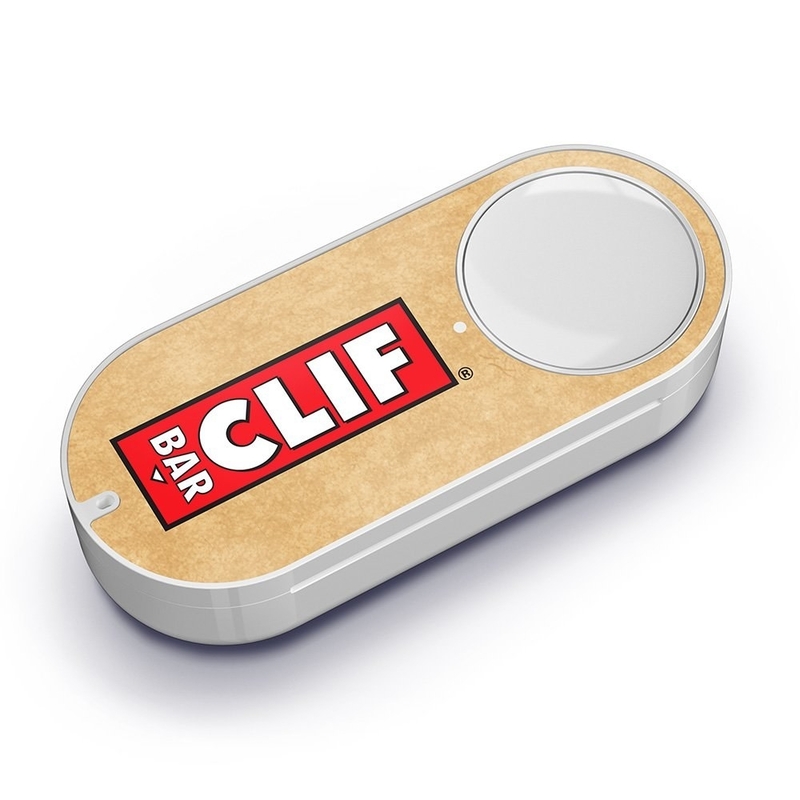 An Amazon Dash Button to give you the power to re-order your favorite, everyday items like toothpaste, energy bars, and more just by pushing a DANG BUTTON. 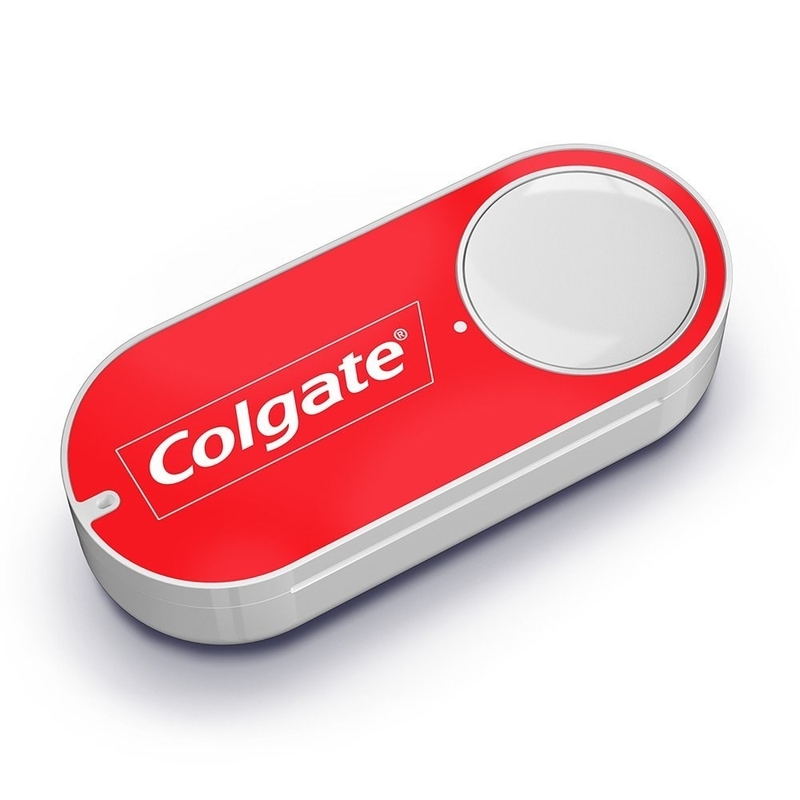 Dash buttons connect to Wi-Fi so that you can re-order your favorite items at the literal push of a button. You select the product your button is paired with through the Amazon App which is available for both Android and iOS. Plus, after your first press, you'll receive a $4.99 credit, so it's basically like the button itself is FREE!!!! Get them from Amazon for $4.99. 12. 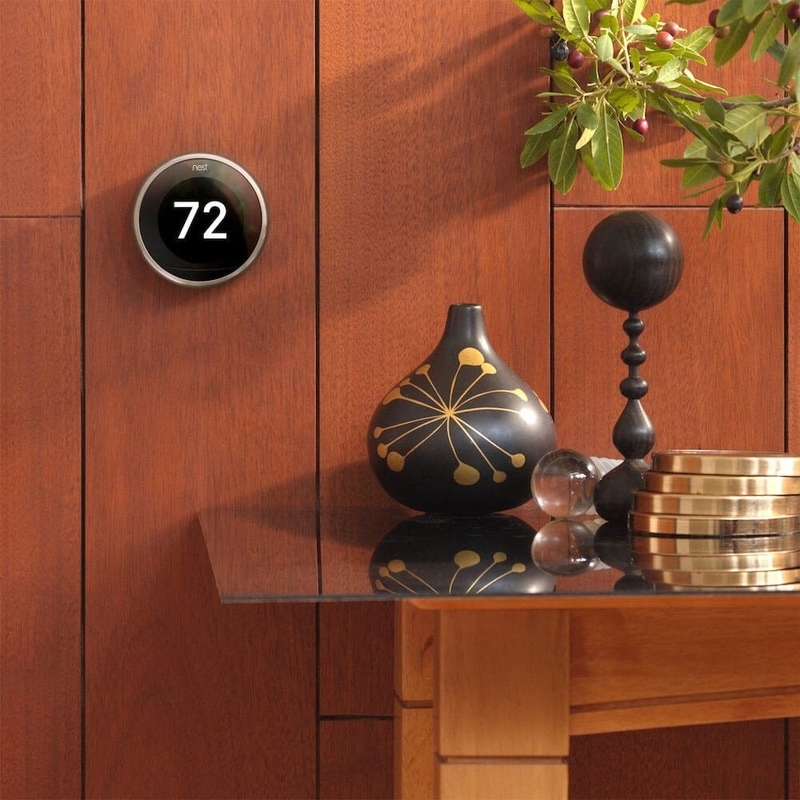 A Nest Learning Thermostat that'll literally learn your temperature patterns and control the thermostat in your house accordingly throughout the day and night, plus it'll help lower energy bills, so you're not using too much AC or heat at times when it's not needed. 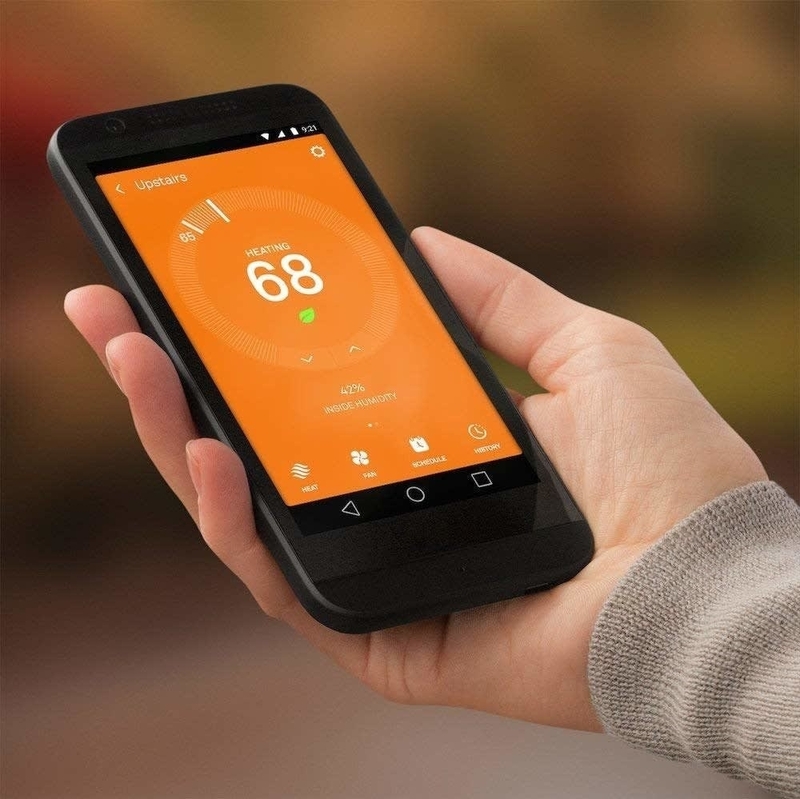 This amazing product will learn your temperature habits and automatically adjust the room temperature to help you save $$!! It has an easy-to-read, light up display, AND if you have an Alexa device, it works with Alexa voice control! Download the Nest app here. Get it from Amazon for $217+ (available in four finishes). 13. A Keurig machine capable of making more than just coffee — this model allows coffee fanatics to enjoy things like lattes, cappuccinos, and even brew up concentrated coffee shots from their favorite K-Cups. Bye, Starbucks line! This of course makes regular coffee like a typical Keurig machine, but can also make concentrated shots from your favorite K-Cup, and lattes and cappuccinos with the included froth, which, BTW, is dishwasher-safe. The water reservoir allows you to brew up to six cups of coffee before needing to be re-filled. Plus, it automatically turns off two hours after the last brew to save energy! Get it from Amazon for $174+ (available in three finishes). 14. A deep kneading massager to use on your neck, back, shoulders, from anywhere. You can go ahead and call the masseuse you never had and tell them it's over, I'm sure they're gonna be very upset. Get it from Amazon for $49.99+ (available in two colors). 15. An automatic pan stirrer with a timer that'll literally stir things you're cooking up over-the-stove like pasta sauces or eggs — give your hand a break, it's what it deserves. Just place in your pan with a simmering, or low-heat liquid, set the timer, and let it do the stirring for you! Not recommended for use with boiling liquids. And do not submerse the motor unit into liquid! Get it from UncommonGoods for $25. 16. A bedside caddy to store things you don't feel like leaving the comfort of your bed to get — the remote, glasses, a book, maybe some snacks, IDK man, it's your life! Get it from Amazon for $6.90+ (available in three colors). 17. An Echo smart speaker with Alexa for — sure, of course, playing music — but also like basically having an actual assistant in your home. You can ask Alexa questions, request the weather, find out sports scores, call a cab, etc. You have infinite possibilities. This baby can play music, read the news, set alarms and timers, answer your questions, control compatible smart home devices, and more! You can also use this to make hands-free calls, drop in on other rooms in your house, and even make announcements to other rooms with compatible device! Download the Alexa app from iTunes here, or Google Play here. Get it from Amazon for $89.99 (originally $99.99, available in four colors). 18. A Crock-Pot that'll allow you to put in your favorite ingredients, seal the lid, and let it slow cook them, so you can come home with a delicious meal at the end of day. This 7 quart slow cooker can serve up about eight or more people, and can fit a 6 pound roast. It features an easy-to-use locking lid so you can prevent leaks on-the-go. You can set it to high for quicker cooking, or set on low for more of a slow roast, with a warm setting to keep food warm, but no longer cooking until you're ready to serve. The lid and removable stoneware are dishwasher-safe! Get it from Amazon for $22.49 (originally $49.99). 19. A 12-pack of water bottle cleaning tablets so you can forget about having to use a brush and dish soap to get the gross smells out of your re-usable water bottle. Just drop one of these in with warm water, let it fizz for 15-30 minutes while you do something else, empty and rinse, and voila! Tablets are biodegradable, chlorine-free, all-natural, and environmentally safe. They're individually packaged, and don't require any additional brushing or scrubbing. Good for use on stainless steel bottles, mugs, hydration reservoirs, coolers, dishes, and hard-to-clean plastic containers and bottles. Promising review: "In all fairness, I first heard of this product while watching Shark Tank, and their pitch was impressive so I gave the underdog a try. Now, I'm on my fourth re-order. My whole family drinks out of various name brand bottles, coffee mugs, etc. The fact is, they are rarely cleaned because they are a part of our daily lives and they are a pain in the ar$e to clean, because of the inconvenience that they are not dishwasher-safe, or don't fit. The answer is these tablets. They work and they're simple to use." —K.R. 20. A car sauce dip clip to ensure you always have a second pair of hands to hold your dipping sauces while driving — it's a very important part of the driving while eating chicken nuggets and/or french fries process, OK?! Get it from 3DPrintedByBrian on Etsy for $5.60+ (available in two colors, and two sizes). 21. A KitchenAid stand mixer that'll put an end to you having to stir your own ingredients. Long gone are the days of tiring your arm out just because you wanted to make some freaking chocolate chip cookies. Plus, this thing will last you a v long time, so it's extremely worth the investment, promise. This stand mixer has 10 different speeds from very slow stir all the way to very fast whip to meet all your prepping needs. It comes with a flat beater, a dough hook, and a wire whip. It features a 5 quart stainless-steel bowl, a head tilt back for easier access, and a two-piece pouring shield. Get it from Amazon for $399 (originally $569.99, available in 27 colors). 22. An AeroGarden for anyone who has ever thought like, maybe it would be kinda fun to grow some plants or herbs of their own, but then thought of the daily commitment it would require, laughed, and quickly let go of the dream. It comes with seeds for Genovese basil, curly parsley, dill, mint, thyme, Thai basil, as well as Miracle-Gro plant food. The energy-efficient LED grow lights automatically turn on and off and the system reminds you when to water and add plant food. Check out our review of this super easy-to-use AeroGarden! Get it from BuzzFeed's Goodful line, exclusively at Macy's for $89.99 (originally $189.99, available in two colors). 23. A shower cupholder so you can sit and relax in the bath with your favorite drink (alcoholic or not) without having to hold it with your own precious hands the entire time. Because... you're not a peasant. This thing is ideal to hang on glass, mirror, and glazed tile. It's made of strong, recyclable, dishwasher-safe ABS plastic. 24. 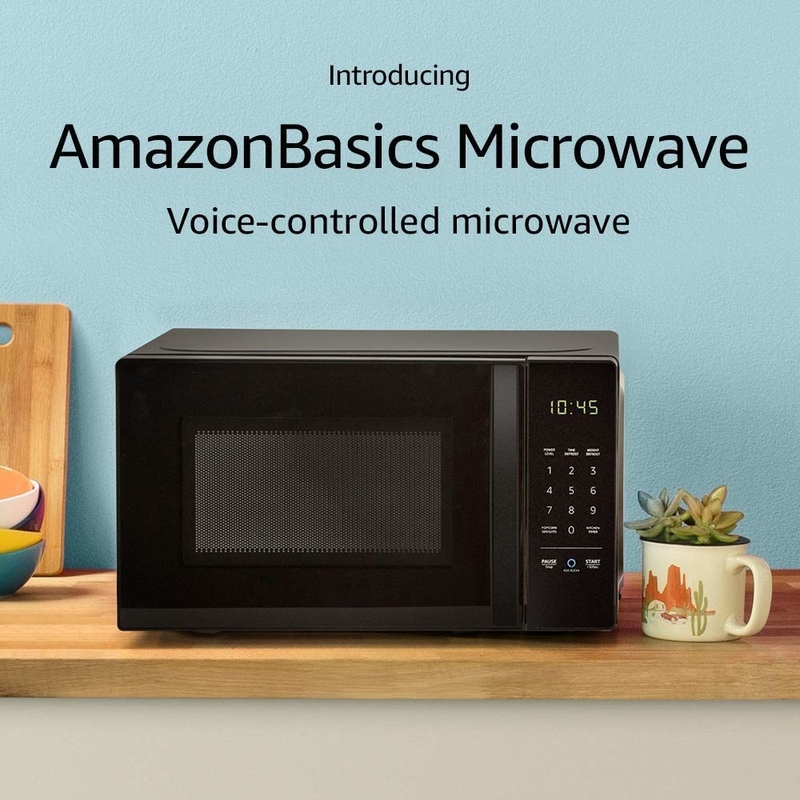 An Alexa-compatible microwave — because it's 2019 and the thought of having to physically get up from the couch to re-heat your food item sitting in your microwave is a daunting AF task when you can just ask Alexa to do it for you. The future is here, people. 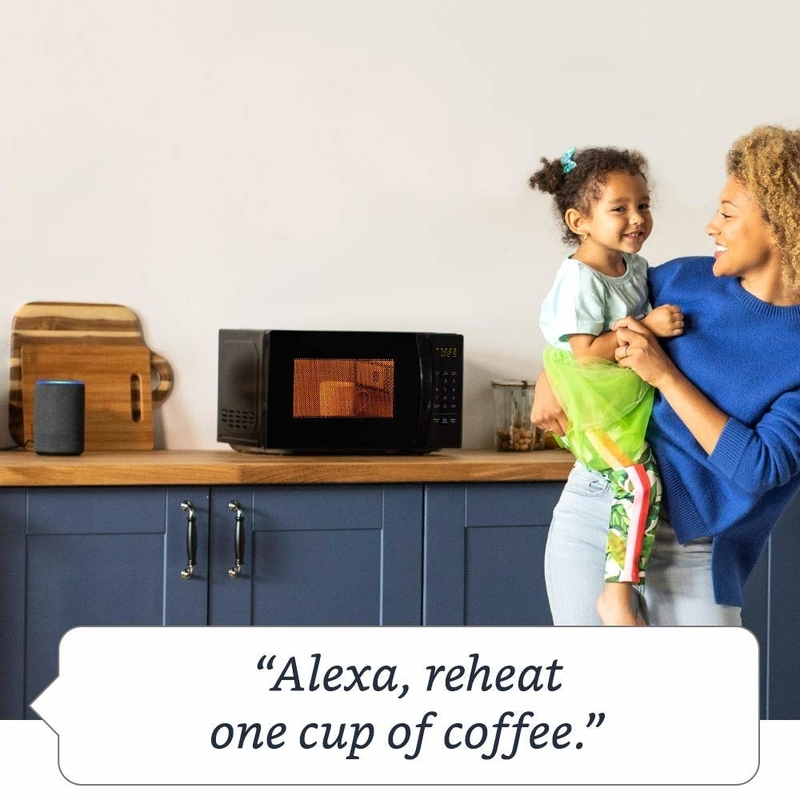 Now you can ask Alexa to microwave popcorn, defrost veggies, or heat up your dinner for you. It also allows you to re-order popcorn when you run low, and you can save 10% on popcorn orders, thanks to Amazon Dash replenishment technology! It features 10 power levels, a kitchen timer, a child look, a turntable, and has a compact size that helps to save space. Get it from Amazon for $41.99 (originally $59.99). 25. A MakeUp Eraser for the easiest way to take off your makeup — no more scrubbing and wiping multiple times. Just wet the cloth with water, take a swipe or two and watch it work magic, for real, for real. Literally all you need to do is wet the cloth with water, that's it. No chemicals, nothing yucky, just a cloth and water. Actual magic. BTW, this was our $$ pick for the best makeup removers on BuzzFeed Reviews. Check out our review of this incredible makeup eraser! 26. A Sous Vide cooker to help you make restaurant-worthy meals with minimal effort. So minimal you don't even have to be in the kitchen while your food is cooking. I'm not kidding. The temperature range is 32–197 degrees F. The cooker can be controlled right from your phone, so you don't even have to stay in the kitchen while cooking. It also provides cooking notifications, and stays connected through Bluetooth from up to 30 feet away. Plus, you get access to over 1,000 recipes, so you'll have inspiration for yummy meals! Get the Anova app here. 27. An umbrella hat that'll prevent you from ever needing to hold your own umbrella. Now you can walk out of a coffee shop when it's rainy, holding your coffee with BOTH hands. Revolutionary. Get it from Amazon for $14.99+ (available in three colors). 28. A vegetable chopper for those who wanna cook homemade meals, but are so daunted by the thought of prepping the ingredients, they're already ordering Seamless a fourth night in a row. It holds up to 4 cups at a time! Includes stainless steel discs, a cleaning brush, and a recipe e-book for inspo! This is FDA-certified, BPA-free, and all parts are dishwasher-safe! 29. 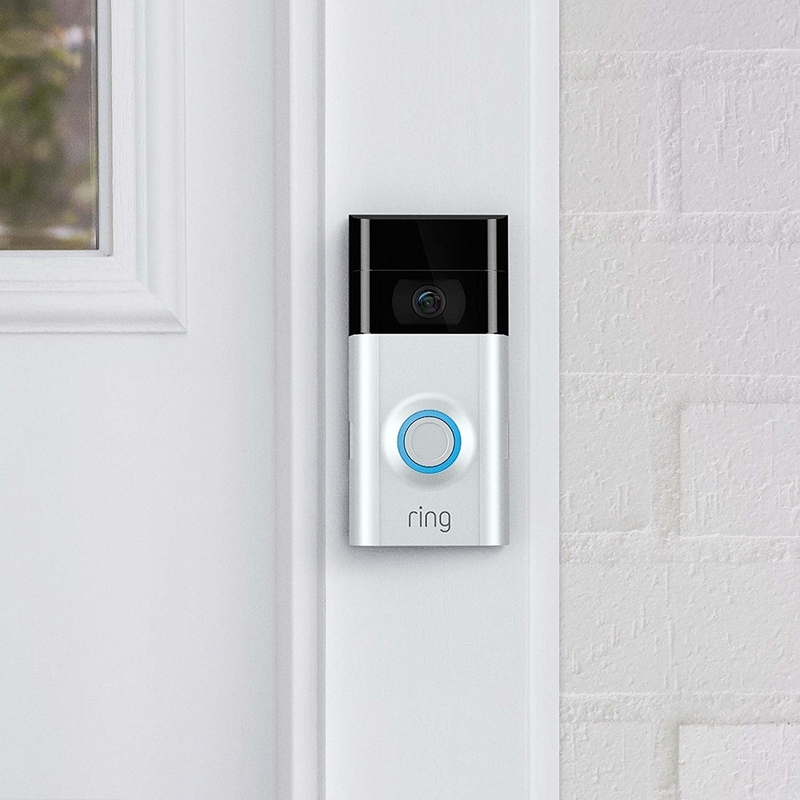 A Ring video doorbell to see and respond to guests at your front door without needing to get up, or even be home for that matter. I mean, we've ditched talking on the phone for texting. Let's make 2019 the year we answer the door from our bedrooms instead of at the front door. It allows you see, hear, and speak to visitors at your door from your phone, tablet, or computer. It'll send you alerts as soon is motion is detected, or when visitors ring the bell. It works with any home, whether you have doorbell wires existing or not! It also has infrared night vision! You can check on your home at any time using Live View on-demand video. It also works with Alexa! Plus, if someone steals your bell, they'll replace it for free. Get it from Amazon for $99.99 (available in two colors). 30. A sectioned skillet so you can just cook your entire meal in one pan, over one stovetop. Why use multiple pans, and create more clean-up work for yourself, when you can just use one?! Whose idea was that in the first place?! Features five compartments. It only requires one burner, and it's non-stick and stain-resistant. Plus, it features double layer non-stick coating that is PFOA-free. It's both oven- and dishwasher-safe.